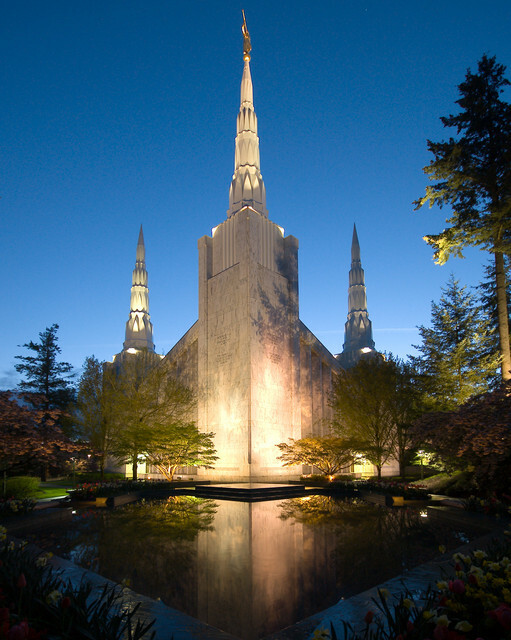 I'm going to a wedding today at the temple. This one's a funny one because if it were a civil marriage, The Warden and I'd probably be sitting right in the middle of the aisle. We have known the bride since she was about five and the groom since he was serving his mission. We knew her when we lived in Monmouth. Amazingly, wonderful, open, humorous family. We've known him (mostly through his parents), as we've lived here. Extremely talented, warm, sweet family. I would venture to say that both mothers are on my list of people I want to be like when I grow up, which I don't have any plans of doing any time soon, but if it were promised that I'd be like them (both of them), I'd probably agree to it much sooner. So excited to get to be with these great people in such a wonderful place. I'm still feeling dumb about that one, Tonya. Ugh!